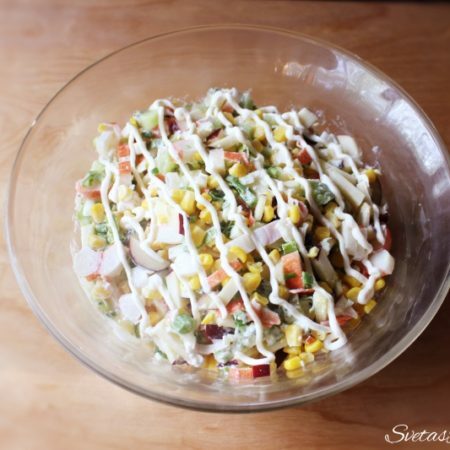 This great salad is perfect for a quick recipe. If you decorate it nicely it will definitely catch the eyes of your guests. 1.) To start the recipe Peel your kiwis, crab sticks and eggs. Cut your scallions, apples, kiwi, crab sticks and eggs. Add all of your ingredients in one bowl and mix together well. Grab a spoon and enjoy! 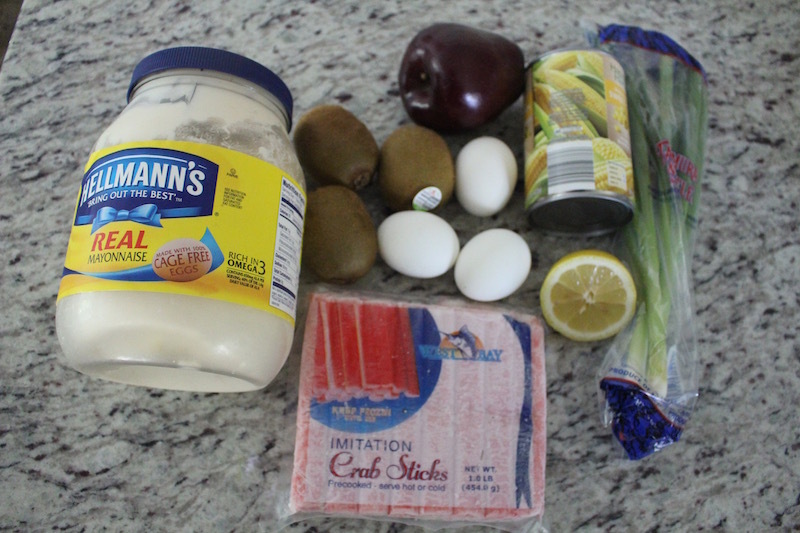 To start the recipe Peel your kiwis, crab sticks and eggs. 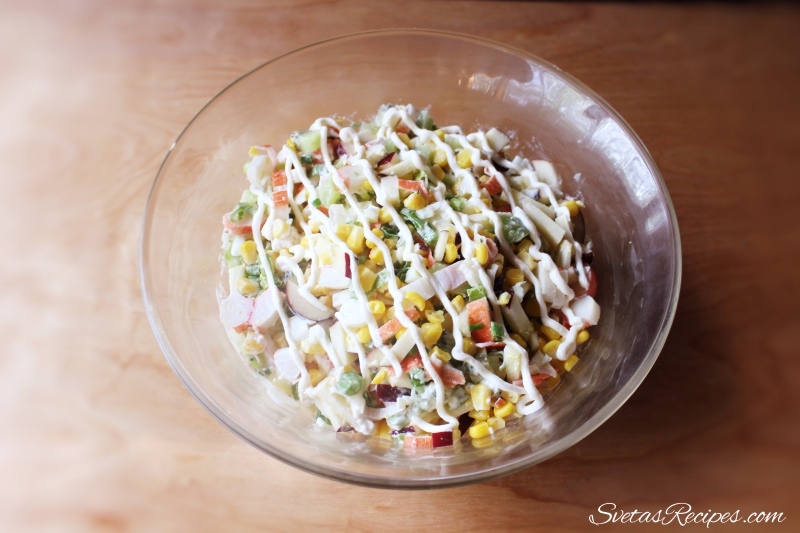 Cut your scallions, apples, kiwi, crab sticks and eggs. 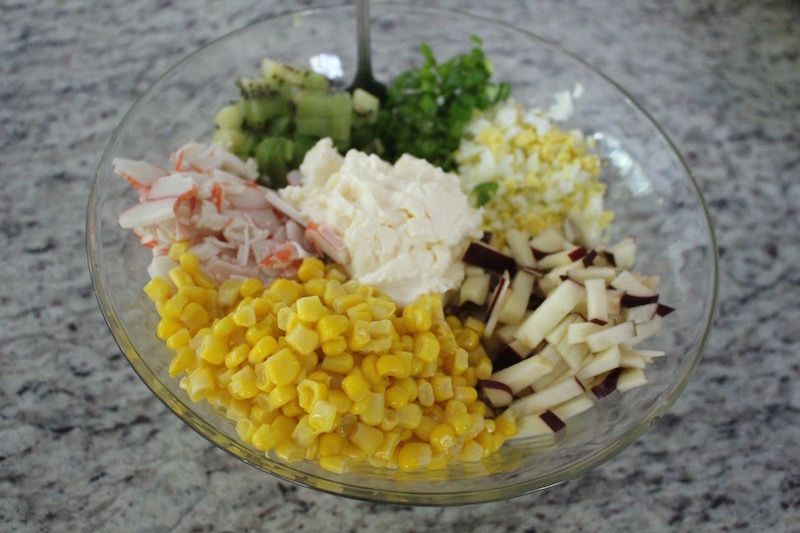 Add all of your ingredients in one bowl and mix together well. Grab a spoon and enjoy!